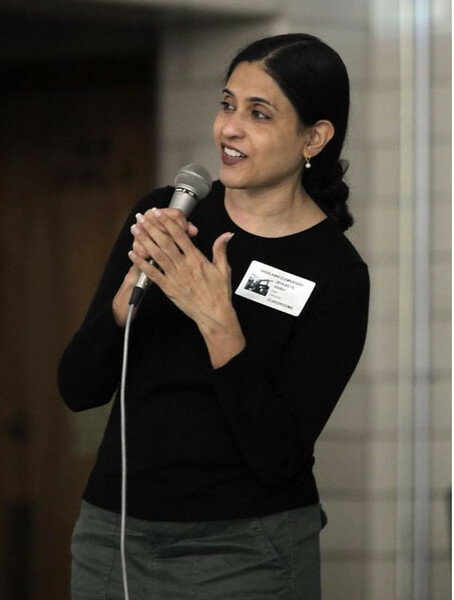 Dr. Monika Sawhney talks to students about the Child Obesity Awareness Campaign May 19 at Highlawn Elementary School. Sawhney has conducted research on child and maternal health for more than a year and hopes to implement this research in the Marshall University undergraduate department of public health. Photo Credit: Lori Wolfe/The Herald-Dispatch.